The Student Legal Clinic is a partnership between CSUN and Southwestern Law School and will be housed on the third floor of the Oviatt library. Photo by Ruth Saravia. California State University, Northridge and Southwestern Law School have joined forces to bring a pilot clinic to the CSUN campus for one year, starting in fall 2017. The Student Legal Clinic, which will be located on the third floor of the Delmar T. Oviatt Library, will provide CSUN students — both citizens and non citizens — with pro bono legal assistance on immigration issues. Under the supervision of attorney and Southwestern lecturer Julia Vázquez, Southwestern law students will assist CSUN students on a variety of immigration-based legal services, including adjustment of status, special immigrant juvenile status and naturalization needs, among others. Because the clinic’s focus will be immigration, student volunteers at the clinic will refer clients to free or low-cost attorneys or clinics for other legal issues. CSUN students Kenya López and Sevag Alexanian — the 2016-17 Associated Students (AS) vice president and president, respectively — spearheaded the initiative to bring the legal clinic to campus. López said that she and Alexanian came up with the idea to start the clinic while they were running for student office. While they were considering a wide array of legal issues for the clinic to address, López said there was a clear demand for a clinic tackling immigration law. It’s a topic López knows all too well. 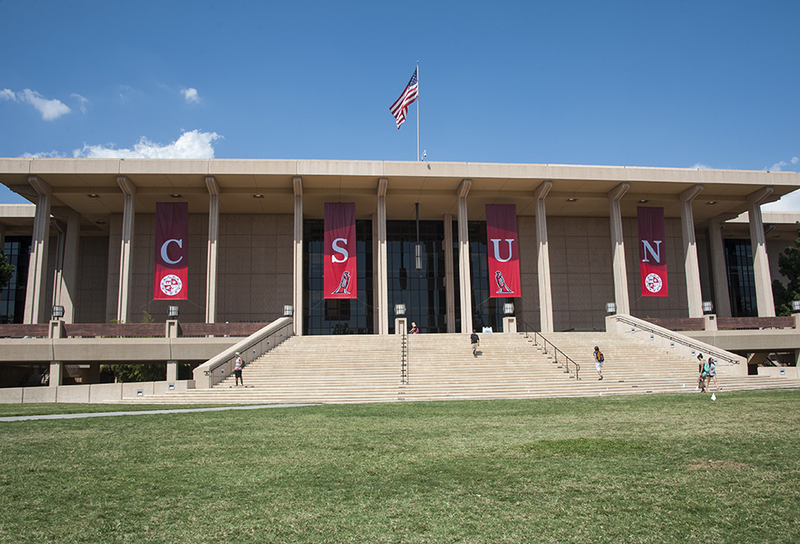 The senior majoring in criminal justice and minoring in business law is one of an estimated 1,400 students attending CSUN as undocumented immigrants. Called the “Dreamers,” many of these young people came to the United States as children, with parents or other relatives who dreamed of starting a new life, a better life. The AS leaders chose to collaborate with Southwestern because CSUN already had established a relationship with the law school through the 3+3 B.A./J.D. program, López said. The joint, accelerated multiple-degree program allows students to earn their bachelor’s and Juris Doctor degrees in six years, rather than the usual seven. The process of establishing the clinic took a lot of hard work over the course of Alexanian and López’s term in office, he said. The desire to fill a void in student services was his primary motivation for the project, the former AS president noted. Vázquez, the new director of the Student Legal Clinic, said the project never would have gotten off the ground without the help of key CSUN faculty, among which are Sylvia Macauley, professor of history and an administrative fellow in the Office of the Dean of the College of Social and Behavioral Sciences, and Vice Provost Stella Theodoulou, formerly dean of the College of Social and Behavioral Sciences. Theodoulou connected López, Alexanian and Vázquez with Macauley, who served as a CSUN faculty advisor for the initiative, Vázquez said. The official opening date for the clinic has not yet been determined, but the clinic will open with two key goals in mind. The university is not funding the clinic. Rather, the project is being jointly funded by Southwestern Law School and AS. The space for the clinic in the library is the university’s only in-kind contribution to the pilot project. The success of the clinic will be evaluated at the end of the 2017-2018 academic year after which additional funding will be renegotiated between Southwestern Law School and AS, if continuation of the initiative is recommended. The Student Legal Clinic will not be open to the public. For more information or to make an appointment, please contact Julia Vázquez at jvazquez@swlaw.edu or by phone at (213) 738-6608.